RV World MI in Grand Rapids, MI proudly offers the best RV brands from the best RV manufacturers, and we offer them at unbelievably low prices! Toy haulers, 5th wheels, travel trailers - we have the RV to suit every outdoor passion from camping to kayaking! We think that you'll absolutely love the 2019 Keystone Premier 26UDPR! This Travel Trailer is perfect for your family's camping endeavours! With our reliable, fast worldwide delivery service, you can take advantage of our great deals anywhere! Don't miss out on your dream RV! Stop in today at 7834 S Division Grand Rapids Michigan 49548 and let our staff of specialists help you find your family's perfect RV! Or go online and give us a call at 616-591-3632! 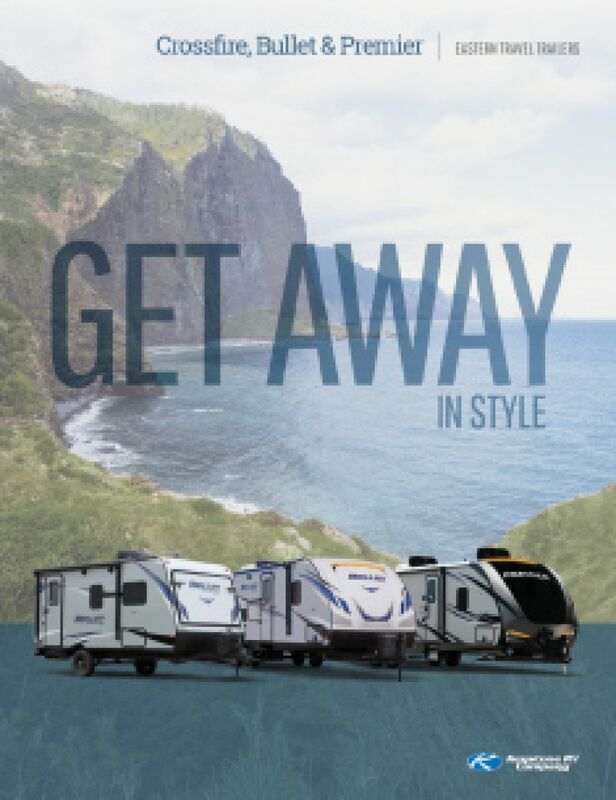 Talk to us today and you could be in your dream RV tomorrow! The 2019 Keystone Premier 26UDPR is a dream on the road, and has a hitch weight of 680 lbs. The 15' 0" patio awning provides shade and comfort for outdoor relaxing! The impressive GVWR of 7500 lbs. means this rig will give your family years of fun! The 2019 Keystone Premier 26UDPR sleeps up to 6 people! Among the comfortable sleeping accommodations is this great bedroom with its cozy Queen bed and privacy for family or friends! You'll find a full array of modern kitchen appliances in the superb kitchen area! So you won't have to rely on take-out for fast food anymore. You can stock all your favorite meats, veggies, fruits, eggs, and cold beverages in the 8.00 cu. ft. refrigerator and cook them up for breakfast, lunch, or dinner on the 3 burner range cooktop! With the 43 gallon freshwater tank, you won't have to worry about running out of clean water! The hardest part about traveling is dealing with public restrooms and communal showers. You won't have to go through that ordeal with this model! Instead, you'll enjoy the privacy and comfort of your own bathroom! 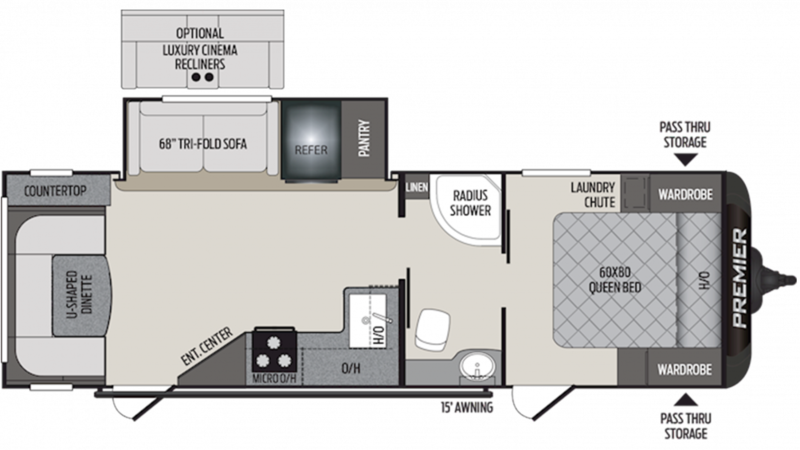 Inside you'll find a spacious shower and a Foot Flush toilet! There are 40 lbs. of LP tank capacity, so you can except hot showers anytime of the day! Used water and waste are discreetly stored into the 60 gallon gray water tank and the 30 gallon black water tank.